So, you've cut off your breast(s) and poisoned and radiated your body. You've hit all your medical milestones - surgery, chemo, herceptin. You've recovered and the hair on your legs has grown back to plague you, and you have gotten back to a normal life. Work, jobs, family. Yet you are changed. You didn't expect this, but each time you get dressed or undressed, you can't help but notice your mastectomy scar is smiling at you. Each time you unscrew a jar, you feel your muscles jump in weird ways and you are reminded that you are different. You know now that you can never forget; cancer can't be swept under the rug with the detritus of your other medical memories, like cramps or a post-childbirth hemorrhoid. Cancer is always in your mind, if not in your body. Not to the level it was when you were first diagnosed, or when undergoing treatment. But, it is a part of you now, a part of who you are. Why is that? What is it about this disease that is so different than others, that it becomes a part of your identity? Is it only the physical changes, or something else? I had migraines for 25 years. Bad ones, that left me quaking in agony in a darkened room, moving only to vomit. Those migraines changed my life more than cancer did - were more debilitating. I had them several times a week. I couldn't leave the house, go on vacation, go on a date, raise my child, without making sure I had enough meds to make it through. Yet, I don't consider them a part of my identity. I have migraines, I am a cancer patient. I suppose the treatment can help explain it - it can be quite intensive. It's hard and so you have all these milestones that you check off - it's an all-encompassing part of your life for well over a year. The only thing that compares in time consumed is being the mother of a small, colicky infant, and even that ends in six months. That treatment can be intensive doesn't explain why people with small stage I cancers whose entire course of treatment is mere weeks feels exactly the same about it as a Stage III woman does. I suppose the place cancer has in our culture plays a role. We have months dedicated to the disease, constant fundraisers, commercials all day long about cancer centers, preventative methods - it's pervasive. "The Cure for Cancer" has been a medical goal for researchers for decades and movies are regularly made about a brave cancer patient "battling" her disease. Cancer has a place in our collective experience that other diseases don't, and we are the anointed ones. All of those never-ending commercials and fund-raisers - it's about us. Also, we can't keep it a secret, like those with high blood pressure can. We don't get to face our disease in private: we lose our hair and are thus outed as cancer patients. If we leave the house, we tell the world. It's also true that the fact that the disease can come back and strike at any time is part of the reason it never fully leaves your psyche. There is still no good way of telling who will face it again and who will be cured, and I would have paid $1,000 if they had that circulating tumor cell test available when I was first diagnosed. But, they didn't, and as they say, you only know if you are cured from invasive breast cancer when you die of something else. So, you end up in a peculiar no-man's land for a while. You have to accept the fact that you may face this disease again, while at the same time, living your life as if you won't. You probably won't. The odds are good. And so, to know the unknowable, we cling to numbers most of us can't even understand. The lore is: in five years, your risk for recurrence drops dramatically. For us HER2+ gals, we recur in three years because our cancers are so aggressive. After the third year is up, our chances go down to the same as anybody else. After five years, we rarely face a recurrence. (Except for the exceptions - I know a woman who faced a recurrence 22 years after initial diagnosis, and isn't that a slap in the face?) Confusing the matter - herceptin hasn't been around for a long time so nobody really knows if we will start to recur down the road or not, or what exactly, it does long-term for early stagers. But, since it's all we have, we go by the three year stat - why not? From when do they start counting? Each oncologist seems to have a different start time. Some say the clock starts ticking on the day of diagnosis. Others, from the day of your mastectomy. Or, it starts from the day of your last chemo. It starts from the day of your last herceptin. I suppose that it all depends on what study they are going by. I forgot to ask mine what he thought, damn chemo brain. It makes sense that it would start from last treatment date but things in the medical world involving statistics rarely make sense to us mathematically-challenged commoners. So, here I am on the Three Year Danger Zone continuum. Diagnosis August 2009: Enter safe zone August 2012. Only 18 more months! Mastectomy October 2009: Enter safe zone October 2012. Only 20 more months! Ended Chemo March 31, 2010: Enter safe zone March 31, 2113. 2 years, 1 month. Ended Herceptin December 2, 2010. Enter safe zone December 2nd, 2013. Still 2 years, 9 months to worry go. Clearly, I'm rooting for the definitive answer to be from the date of diagnosis. In 18 months, will I be able to take a big sigh of relief and call myself a Survivor? I think I'll have cake on each one of these dates, just in case. I read somewhere - and don't know if it's true - that at six years there is a jump in recurrences, which is when women stop their estrogen blockers. I can't say I live in fear of recurrence but I do live with the awareness it could happen. I don't deny the possibility, although in reality, I do think I'm cured. However, it would be much harder to face a cancer recurrence without even realizing it could happen in the first place. I keep reading about women who have chosen radical treatment options who are shocked when they still got a second round. 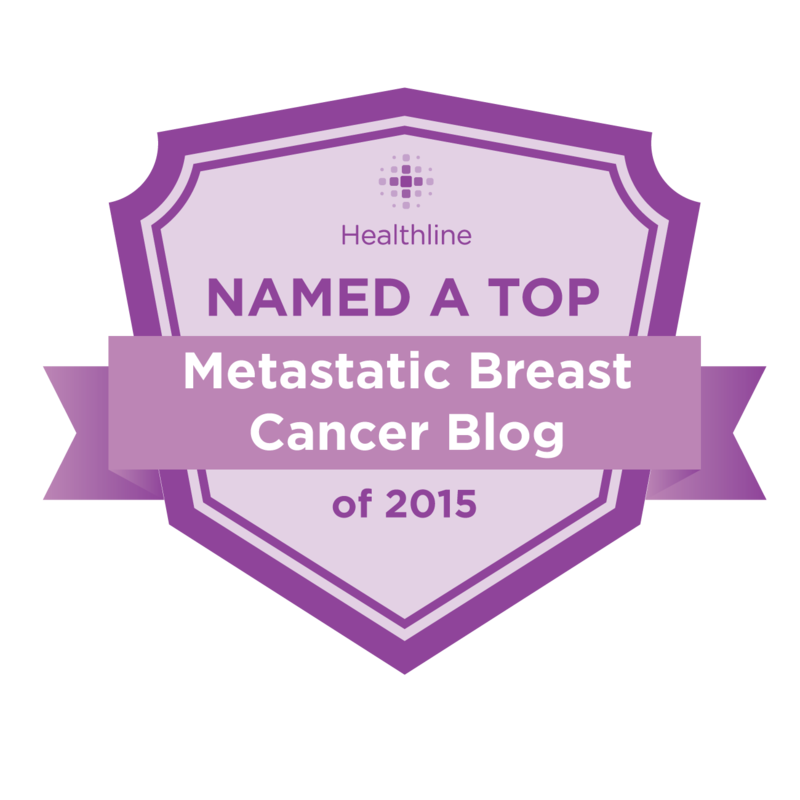 It's best to be cautiously optimistic, as I said on chemobabe's blog. Wonderful post. Very well stated. Gives others a view of what we go through. I don't worry too much, but the knowledge that the cancer could back, or I could get a third cancer, is always there. Excellent Post! Long before the cancer days, I remember thinking about how all-encompassing it is to call a person an alcoholic instead of saying s/he had alcoholism. This is a similar thing, I think, except with "boobies" and a special October. PS My oncologist says the clock starts ticking upon diagnosis. Unlike people who get cancer, alcoholics have a choice, so I'm not sure it's a great comparison. I don't buy into the disease model of alcoholism, and I've got lots of experience with it - my mother died of it. Oh, I didn't meant to minimize yours - or anybody's - treatment. I was talking about the stage 1 girls who have minimal treatment, of course there are some who have extensive treatment. Just like there are some stage III or have minimal and some who had extensive. Even the stage 0 women get nervous - their disease, by definition, cannot spread. Yet, every once in a while you hear of somebody initially dx'd stage 0 who ends up with metastatic disease - probably diagnosed wrong. Anyway, my point was really that the length of treatmnet has nothing to do with the problem. Thanks for that post. It sums up most of how I feel. I finished chemo in August and don't finish Herceptin until June this year. This month is a year since diagnosis, and I'm wondering where I begin my 3 year "danger zone" from. Yikes, there's so many anniversaries I think cake is the only answer! I was diagnosed Jan of 2006, had surgery March of the same year. I was Her2+ and refused all adjuvant therapy including AC chemo (3% benefit), Herceptin (6% benefit) and the AIs (17% benefit though I did give them a try) because of quality of life issues. Adjuvant therapy or no, nothing can guarantee we will never relapse. However, I have hit the 5 year, though must confess I haven't decided if that is a milestone or not. Great post - very well put! I don't feel so all alone when I read posts like this. I'm doing O.K.- your doing O.K. and we are living just like everyone else. Everyone has some sort of issue- ours could kill us- but hey so could a bus. Sometimes when I think or talk about dying someone will say "No one knows when we're going to die, I may get hit by a bus tomorrow". Great now I'm scared of buses too....lol. thank you for being real! I am just going thru the motions with 2 chemo behind me, 6 more to go and radiation. Much luck to you and thanks for the inspiration! I agree that the cancer becomes part of your identity, and I would add that those I know who have had heart surgery (particularly open heart surgery) feel the same way about that. When you're seeing a doctor every 3-4 months, it's hard NOT to think this is an ongoing part of me. My creds: My first bout (lumpectomy/lymph nodes + radiation + chemo) was almost 13 years ago, just as they began advising adjuvant treatment for earlier stages. 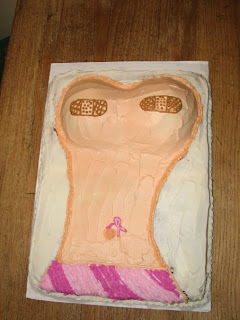 Just before my 10th anniversary, a new breast CA (different hormone profile) in same breast, so had a single mastectomy. Ironically, the other breast that from my very first mammogram to the most recent has a spot that the radiologists can't quite figure out (my oncologist has finally agreed with me that if I get another undecided mammo result we'll do a biopsy).